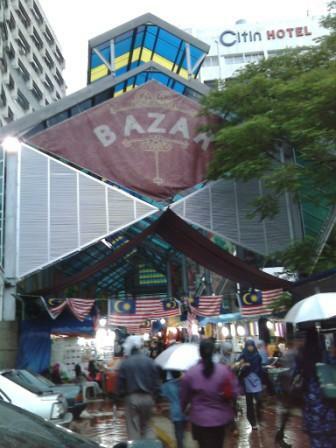 There can be quite good finds in Masjid India if you are quite budget conscious. 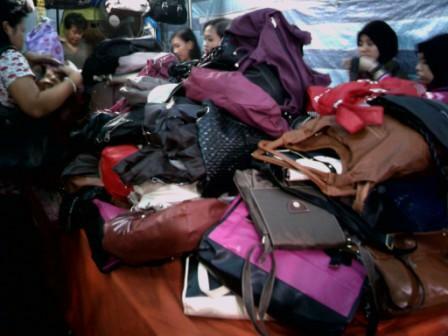 For examples, bags below are sold for RM13 each- if you visit some of the temporarily stores in hypermarkets, they are selling the same item for about RM20 to RM30. There was a guy who came and bought one shot 10 bags- probably to be resold elsewhere. I inquired with one of the helpers and she mentioned that the stall is opened till 8.30pm everyday except Mondays (do go from afternoon till evening because the bazaar is not opened in mornings ifI am not mistaken). Well, folks like us who use the public transport would rather be inconspicuous and low profile because we would not want to be the target of pick pockets and thiefs. So having a relatively presentable but inexpensive handbag can go the trick. 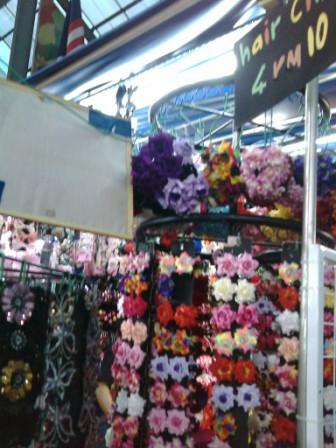 And where else can you find hairclips being sold: RM10 for 4? I used to see these similar items in stores that are sold for many times the price. Perhaps if you are just looking for something fancy, but inexpensive, you can try at these places.